For those who require a practical family workhorse in the week and a fun, fast sports car at the weekend, nothing but a hot hatchback will do. As comfortable taking a trip to IKEA as they are on a winding British B-road, each of our pick of used hot hatchback cars can be had for the same price - or cheaper - as an entry-level city car. Hot hatches for less than £8k? Following on from a disappointing Mk4 edition, the fifth-generation Golf GTI came back with a bang. A practical, refined package is punctuated by a punchy 200hp 2.0-litre TFSI engine, capable of slinging the Golf from 0-62mph in 7.2 seconds. Composed and sure-footed handling dynamics are teamed with impressive everyday usability; the Golf’s boot swallowing a respectable 350 litres. A five-door option also sets it apart from many of its contemporaries, as does the level of cabin stowage on offer. As for the standard spec, the Golf is generously appointed. Dual-zone climate control, alloy wheels, sports seats, aluminium pedals and automatic lights and wipers are all thrown in. 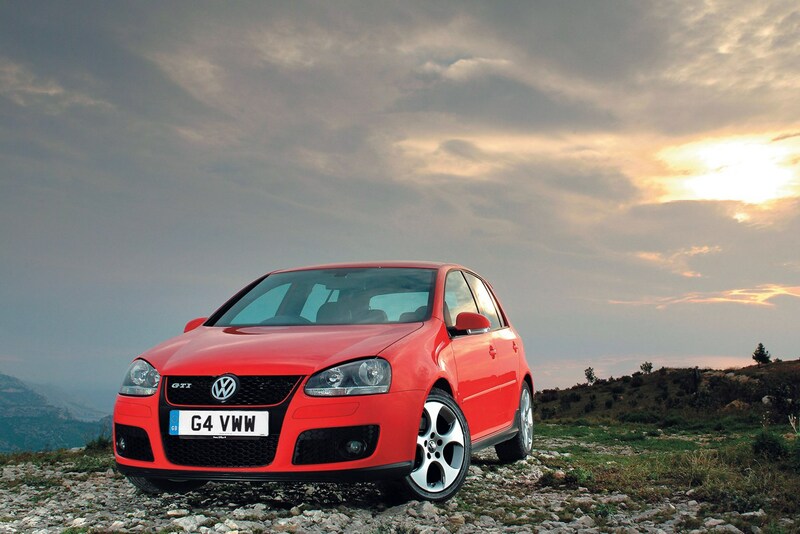 It may be a smidge slower than its rivals, but the Golf excels with superior all-round capability. 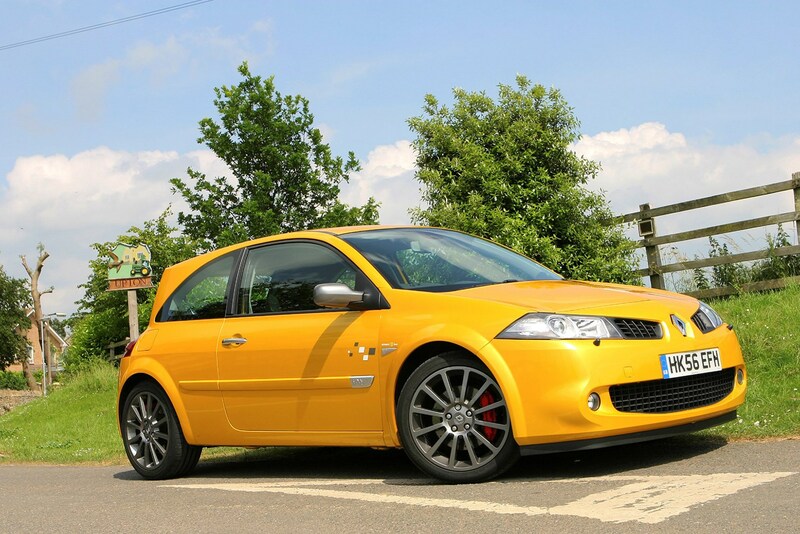 Renaultsport has always been a contender when it comes to fast, affordable hatches. A mixture of class-leading handling dynamics and keen, rev-happy engines makes its cars the ideal tools for a B-road blast. The Megane Renaultsport is no different. It handles precisely and has bags of grip, providing greater traction under power than almost all of its rivals. Find one with the optional Cup package, and you’ll benefit from an even sharper drive thanks to stiffer springs and dampers. The trade-off is an already firm ride made that much stiffer. Renault’s 2.0-litre turbocharged petrol engine delivers its 228hp with exceptional smoothness, and is capable of 0-62mph in just 6.5 seconds. 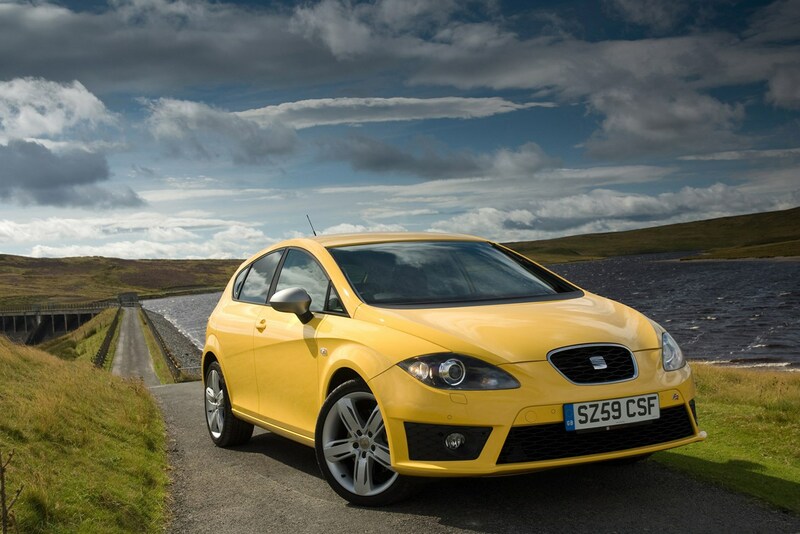 Opt for the rare diesel version and you’ll have an unrivalled 360Nm of torque at your disposal. A relatively small 330-litre boot limits practicality however, especially in comparison with its rivals. Clever packaging, sharp handling and a high-revving VTEC engine make the Civic Type R a highly desirable option. Launched in 2007, the hot Civic is one of the most practical cars on our list with a boot capacity of 485 litres with the back seats in place – 100 litres more than the Ford Focus ST. Other practical features include rear seats that can fold flat in one go, creating an even larger loadbay. 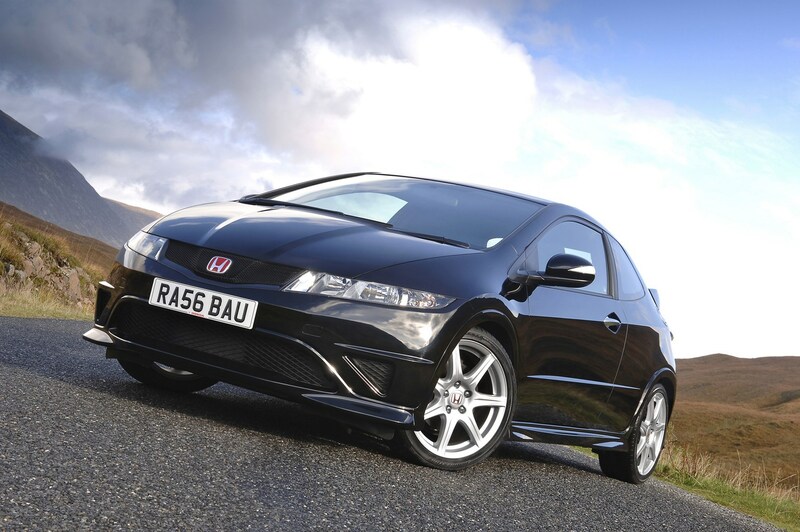 This generation of Type R is also the last to be fitted with the high-revving version of Honda’s VTEC engine. It needs to be worked hard, but the rewards are there if you take it beyond 6,000rpm – a stage where its rivals begin to run out of steam. Grip levels in the dry are almost endless provided you’re careful with the throttle, while body roll is non-existent through the bends. The trade-off however, is an excessively firm ride and frantic driving experience. Another model from the Volkswagen Group stables, the Leon is available with a range of performance engines. If you need a torquey diesel, the 172hp 2.0-litre TDI engine returns a claimed 55mpg, while still completing the 0-62mph sprint in 8.2 seconds. Want a traditional petrol hot hatch? There are two power outputs on offer from SEAT’s 2.0-litre turbocharged unit: 211hp in the FR and 239hp in the Cupra. Although based on the same platform as the Golf, the Leon rides much firmer than the Volkswagen, making for an uncomfortable drive on bumpy roads. Boot space too, is five litres down on the Golf’s 350 litres. 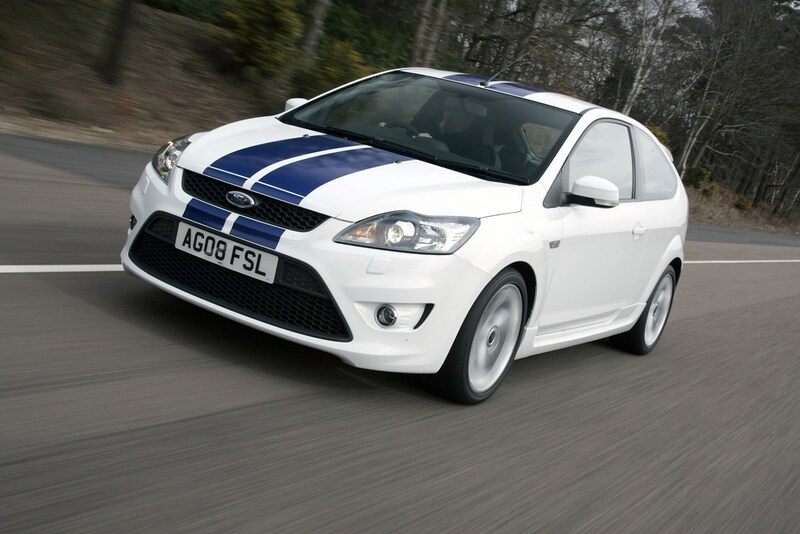 The Ford Focus ST blends genuine performance with sensible, everyday practicality. Powered by a 224hp 2.5-litre turbocharged petrol engine, the ST sprints from 0-62mph in just 6.8 seconds, and goes on to a 155mph top speed. The standard Focus’s already excellent handling has also been improved in the ST, offering superbly weighted and responsive steering with a perfectly balanced chassis. Potential detractors include poor fuel economy from the powerful but thirsty 2.5-litre engine. The MINI Cooper S has a historic name stretching all the way back to the early days of the small car’s history. There’s nothing old-fashioned about this generation of the Cooper S though, offering both petrol and diesel engines with strong performance. Allied to unique interior styling and BMW build quality, the modern Cooper S has been a sales hit over the past decade-and-a-half. 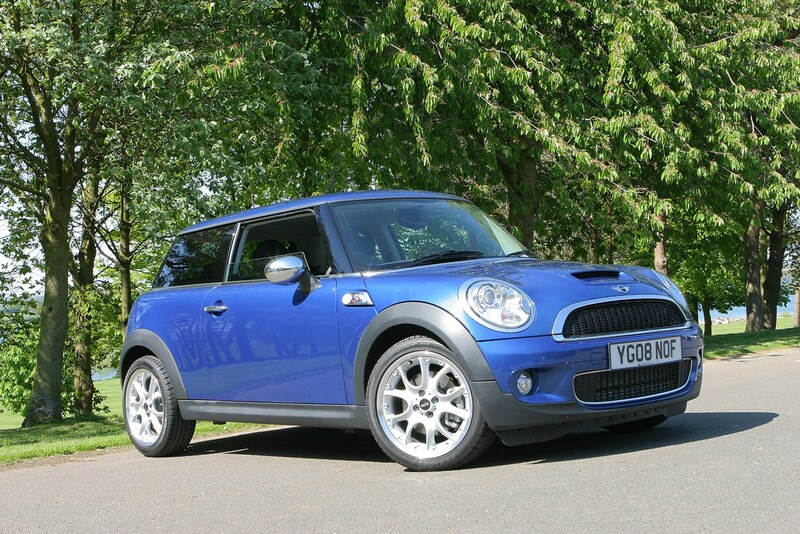 As good to drive as ever, the MINI is one of the best handling cars on the market, boasting tonnes of grip and quick, sharp steering. However, while the back seats can accommodate two average size adults, the MINI’s compact proportions mean boot space is tight compared with its rivals. 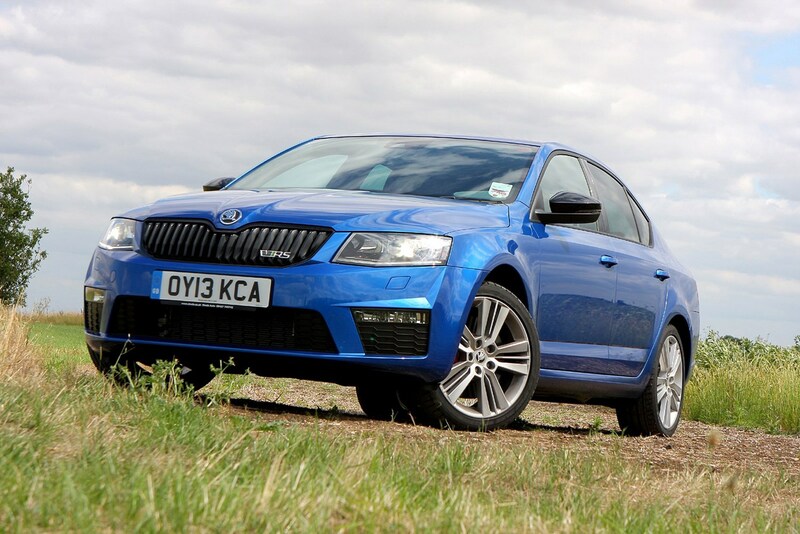 Despite appearances, the Octavia vRS is a genuine hot-hatch contender. Straight line speed is taken care of by Skoda’s 200hp 2.0-litre TFSI engine, capable of launching the Octavia vRS from 0-62mph in just 7.2 seconds. All the more impressive when the near 1.4-tonne kerbweight and class-leading 560 litres of boot space are taken into account. Throw it into a bend and, athough not the last word in excitement, the Octavia vRS responds in a predictable and composed manner. Should you need that bit more effciency, a 2.0-litre turbodiesel engine is also available, capable of 49mpg on the combined cycle. 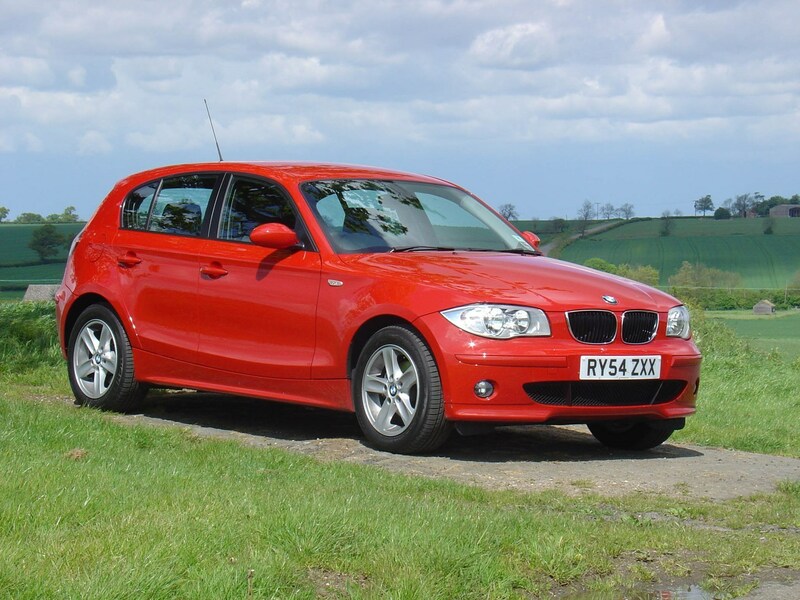 BMW’s first mainstream foray into the hatchback market is often overlooked when it comes to practical performance cars. Space in the back may be a little tight, and the styling won’t be to everyone’s taste, yet the 1 Series is the only car here to come with rear-wheel drive. It’s quick too, the frugal 2007 120d version churning out 350Nm of torque and 174hp, enough to take it from 0-62mph in a Golf GTI rivalling 7.5 seconds. 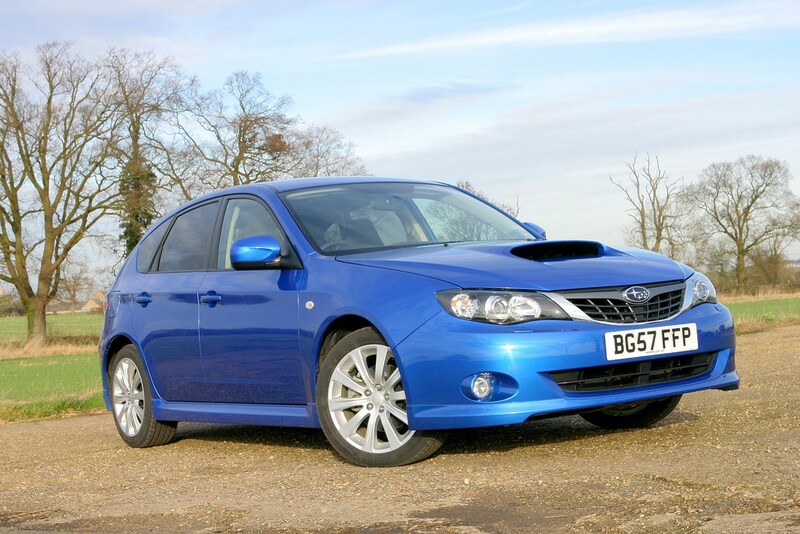 A mainstay of the World Rally Championship, the Subaru Impreza WRX is the only four-wheel drive hatch on our list. Benefits of such a drivetrain are unrivalled traction and grip – especially in wet conditions. And when power from the 2.5-litre boxer engine is rated at 229hp, and 0-62mph is dealt with in just 6.5 seconds, you’ll be thankful for the extra stability. Downsides though are poor fuel economy – just 27mpg on the combined cycle – and a ludicrously high VED band resulting in £500-a-year road tax. The Vauxhall Astra VXR certainly has the right performance credentials thanks to a turbocharged 2.0-litre engine that produces a mighty 243hp. 0-62mph comes up in 6.2 seconds, whie top speed is listed at a scarcely believable 152mph. The styling is also suitably hot hatch-esque, with a bulging bodykit, central exhaust and large alloy wheels. Handling-wise, the VXR copes well in corners, though the sheer level of power means torque-steer is a frequent occurrence. While the Astra’s luggage capacity isn’t the smallest on our list at 312 litres, its high boot lip and narrow opening make loading heavy items tricky. Space in the back seats is also tight, the sloping roofline reducing headroom dramatically. Hot hatches are generally driven hard on a regular basis. Keep an eye out for tyres worn down to the canvas, thin clutches and any signs of damage beyond the usual wear-and-tear. Owners frequently modify their performance hatches, squeezing out the last few drops of horsepower or cornering ability. 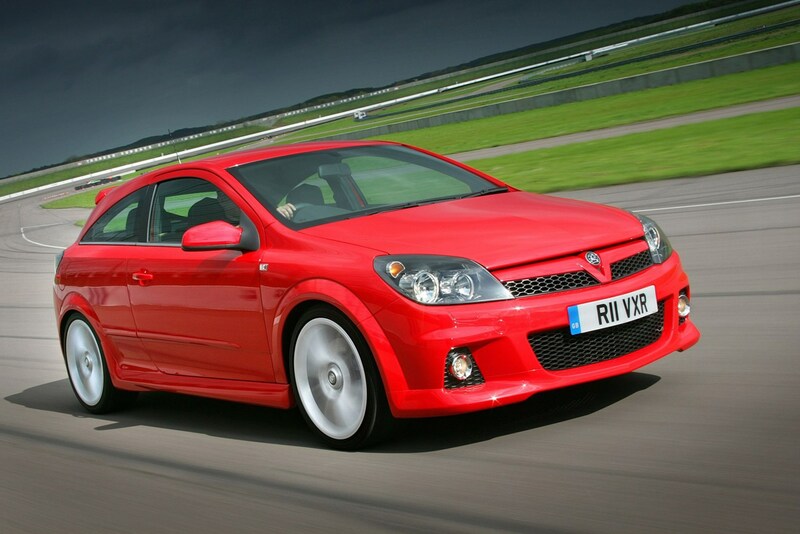 Engine remaps, lowered suspension and body kits are common additions. Although some examples may be faster than the original, there’s no guarantee the modifications have been done properly, and these could harm the car’s resale value. Keep an eye out for limited-edition cars; they are often worth more and might well go up in value. Renault, for example, made a limited-edition Megane Renaultsport named the 230 F1 Team R26. Opt for one of these in good condition, and, as well as a superior car, you’ll potentially have a future collector’s item on your hands. Do you need five doors? The Focus, Golf, Leon, Megane, 1 Series, Octavia and Impreza all come with the option of five doors. They may not look as smart as their three-door equivalents, but the extra practicality could be worthwhile depending on your circumstances. Consider everything before buying.